An unusual gift for any child. 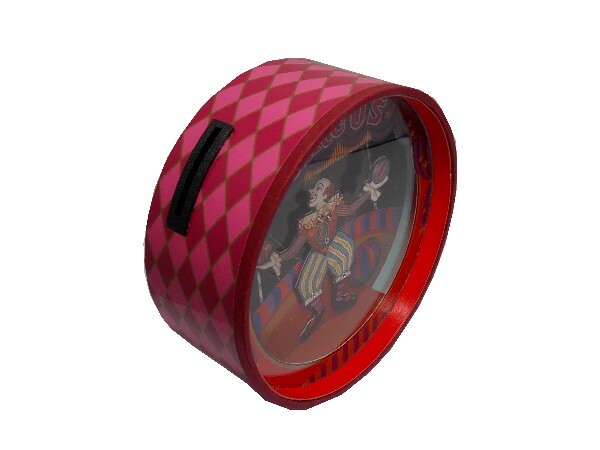 This musical money box features a clown performing within the Circus Big Ring. Set behind a perspex screen, the clown dances to the music when a coin is dropped into the slot at the top. 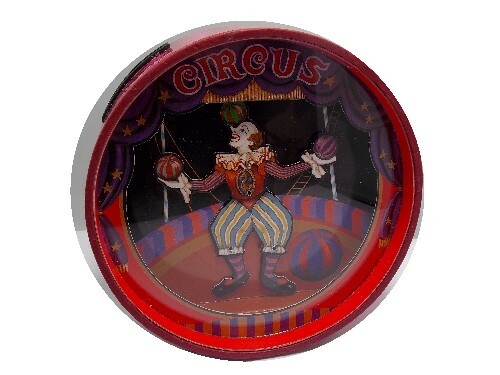 The clown jiggles his legs and his body moves from side to side as though juggling the balls. Each time a coin is dropped in, the tune plays one verse of 'O Du Lieber Augustin'. A great way of encouraging saving! 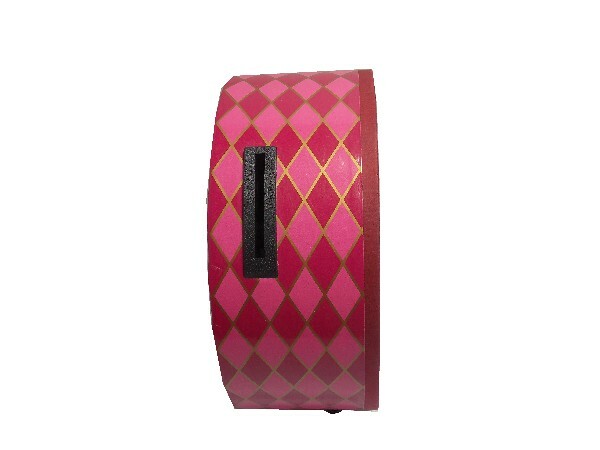 The clockwork musical movement is wound with the key at the rear of the money box. There is a bung / cover so that the money can be easily accessed.